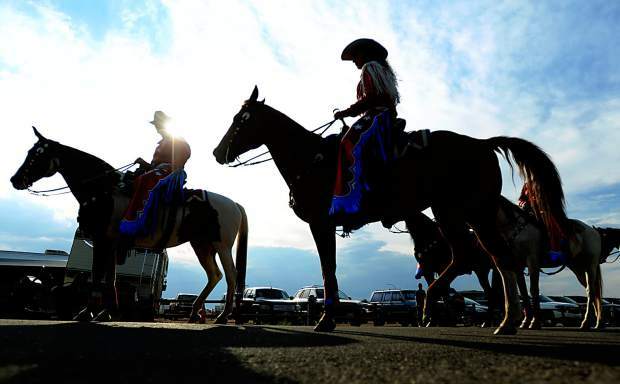 The Stampede Riders are silouetted against the clearing sky Wednesday afternoon at the start of the daily parade at the Greeley Stampede in Island Grove Regional Park. 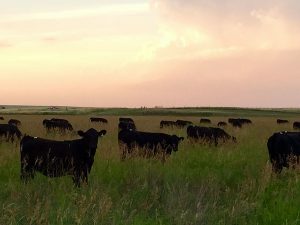 The parade which show cases the Stampede riders, as well as the iconic longhorns, starts at 6 p.m. every day in the park. 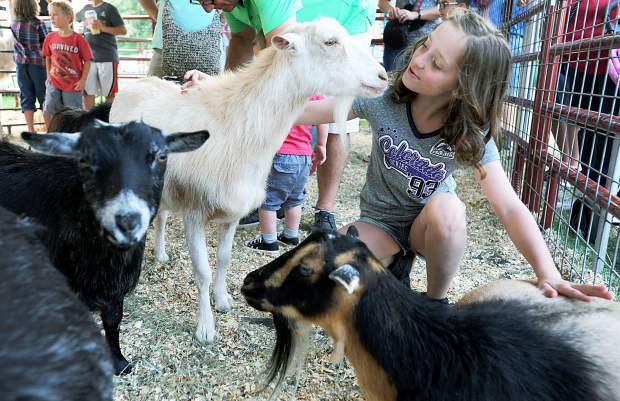 Alayna Hall, 10, gets up close and personal with one of the goats at the petting zoo featured at the Greeley Stampede on Wednesday in Island Grove Regional Park.